A. J. Alan was the pseudonym of Leslie Harrison Lambert (1883-1941), an English magician, intelligence officer, short story writer, and radio broadcaster. He was hugely popular in the '20s and '30s for his radio broadcasts, when he performed his own humorous and often macabre short stories, which he always delivered wearing full evening dress. 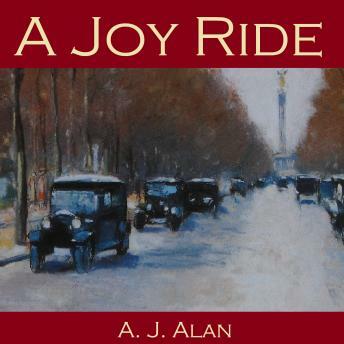 A Joy Ride is one of A. J. Alan's most amusing stories and has a classic twist at the end.